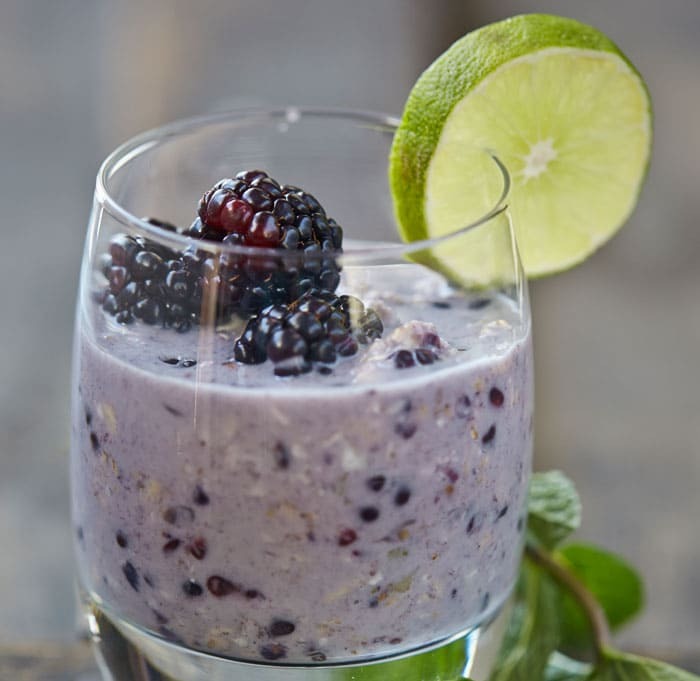 These Blackberry Mojito Oats are more than just your basic overnight oats recipe and is my favorite warm weather oatmeal. I like to makes overnight oats in a jar for 3 days at a time, so I just grab from the fridge and go during the week. Easy overnight oats are a great way to start your day. This recipe is without (vegan) yogurt, so it’s a little thinner than you may be used to. 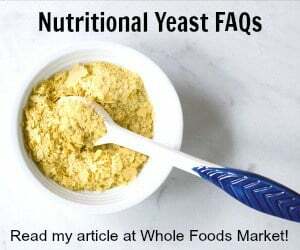 You can add more oats, less liquid, or ad in some vegan yogurt to make them thicker if you prefer. If you don’t imbibe you can leave out the rum, or use a rum flavoring instead. Regular vanilla extract is made with an alcohol base so you’re not really adding any extra alcohol if you decide to add the rum. There are other great oatmeal recipes in OATrageous Oatmeals for all kinds of unusual and delicious recipes, so make sure to take a peek! You can get plenty of oatmeal recipes on the blog here too. I have instant pot oatmeal, slow cooker oatmeal, and more recipes made with oats! 4 Slow Cooker Oatmeals Make Tonight for Tomorrow’s Breakfast! I am a huge fan of overnight oats. These look simply delightful. What a decadent on-the-go breakfast-yum! I’m not sure about the rum… but oh my that color! It’s so awesome! I want blackberries- like – now! No, 1 minute quaker oats are a kind of instant oat. They are rolled oats ground. You can use them, but the results might be a little mushy. Overnight oats are great in warm weather because it’s like a chilled pudding. The flavor combo here is intriguing! I love overnight oats so I definitely want to try this! What a wonderful idea for overnight oatmeal recipe. 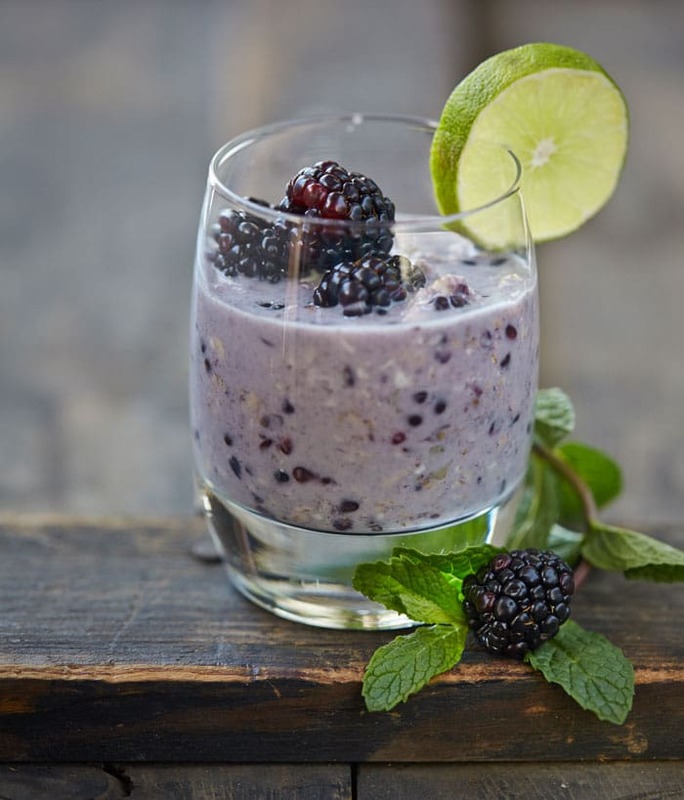 I love blackberries in this recipe. I agree that it is never too warm for Oatmeal, especially one as delicious as yours. I made this and I’m in love!! This was my first time making overnight oats and I’m so happy it turned out the way it did. Thank you for sharing this wonderful recipe. this looks delicious! do you muddle the berries? I smash them when I mix everything together.